Video game music...string quartet style!! 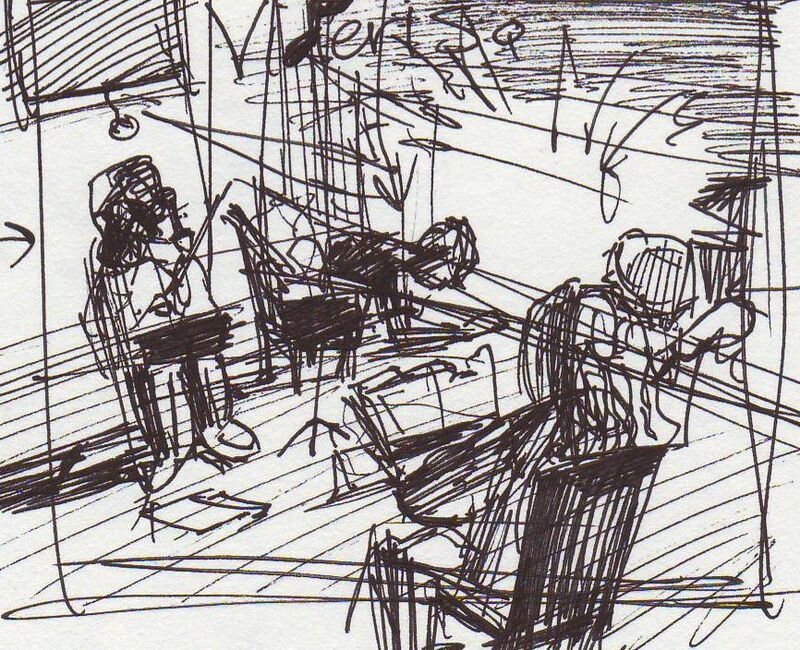 Videri, a Latin word meaning 'to be seen' and the quartet's namesake, alludes to the role of music in illuminating visual narratives. 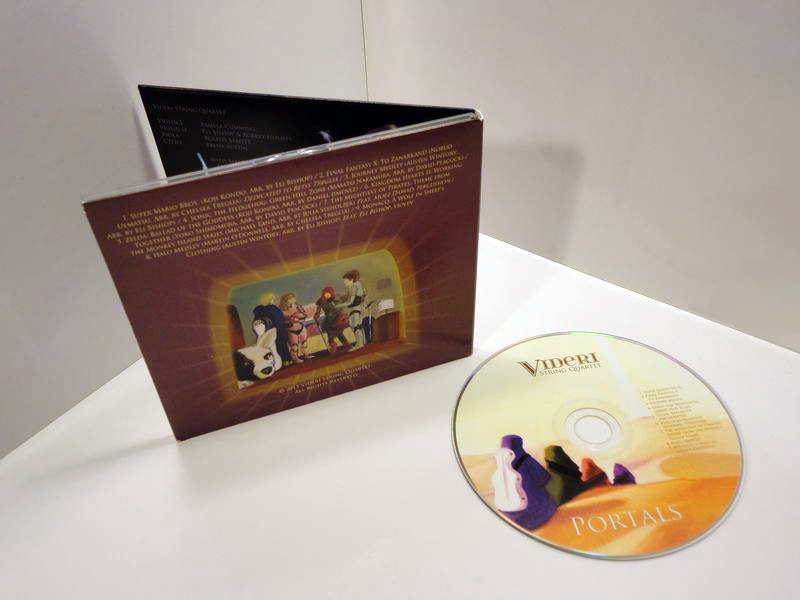 Their core artistic goals are to explore ways in which video game music connects with its listeners, to celebrate the dynamic link between music and storytelling, and to make classical music more accessible to children of all ages by exposing them to popular video game scores rooted in classical music traditions. 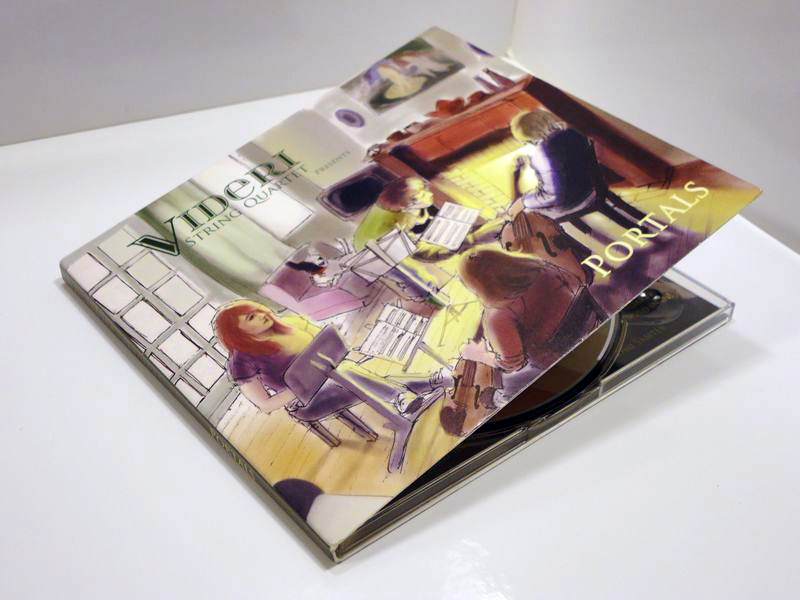 A Boston-based group, Videri has performed in such conventions such as RTX in Austin, TX; Boston Festival of Indie Games; IndieCade in Los Angeles, CA; and the Game Developers Conference in San Francisco, TX. 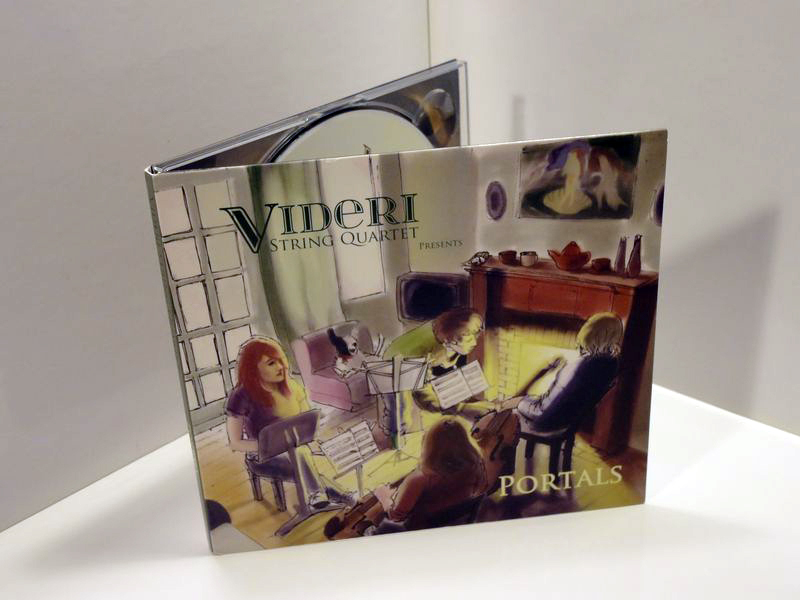 On September 18th, 2013, the Videri String Quartet released its debut album Portals, featuring music from Mario, Journey, Final Fantasy, and other beloved games. 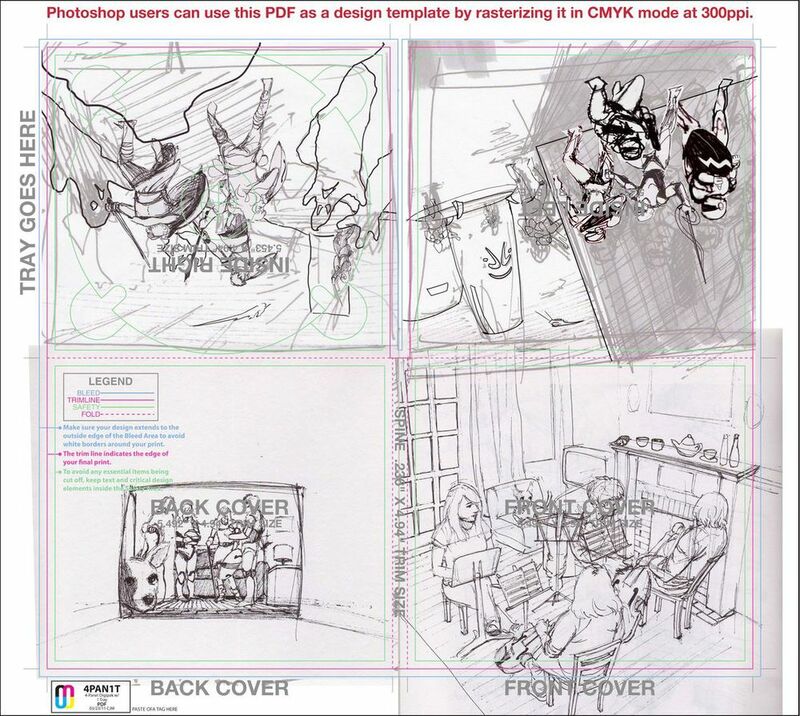 I was tasked with creating and preparing the artwork and layout for their album. 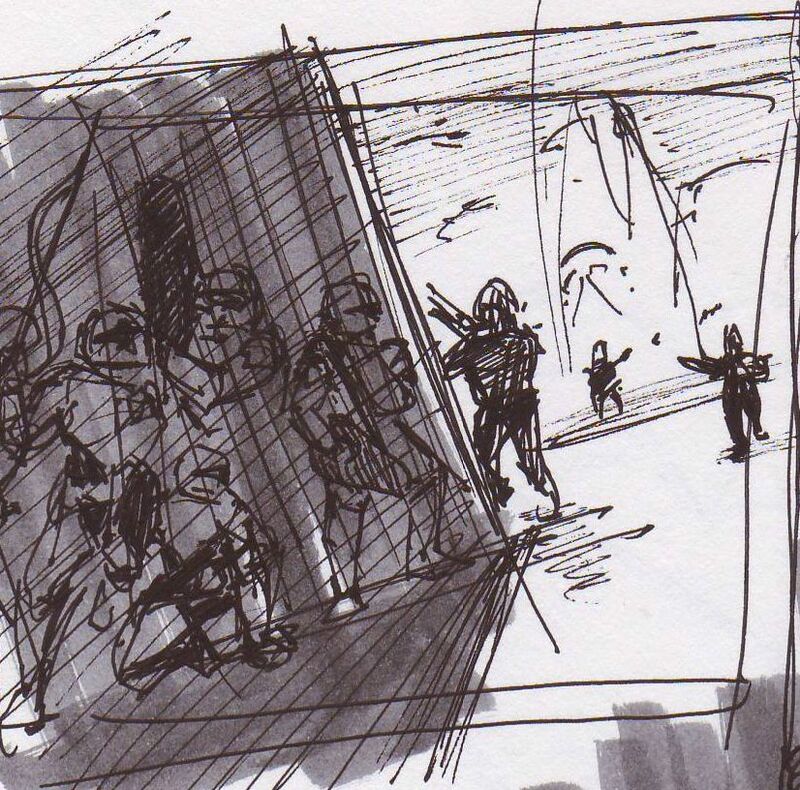 Completed a series of 5 original illustrations for print; presented exploratory sketches, rough thumbnails, and finished illustrations along with overall layout of copy.